Close to 20 razor blades were found "planted" in a San Diego-area park after two children were injured while playing in the grass, San Diego police said Wednesday. Officers combed through the grass at Bonita Cove Park for hours, looking for razor blades that appeared to have been left there intentionally. Investigators, who used metal detectors to search the park, believe the razor blades were left to hurt people on a hot day when people and families came to Mission Bay to cool off from record-breaking heat and high winds. The blades injured two brothers -- one only 7 years old. The boy’s mother called police around 7 p.m. after her son was cut in the foot in the park at 1100 Mission Bay Drive. Officers said the brothers were running barefoot in the grass of Bonita Cove Park when each boy stepped on a sharp razor stuck in the ground. 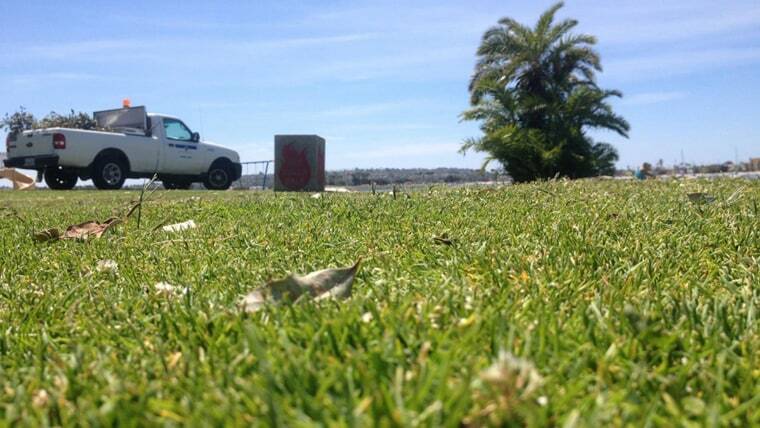 San Diego police investigators say blades have been found at the same park three or four times in the last year. A woman was injured in one of those incidents, when the blades were discovered closer to the playground. No arrests have been made in those cases. Investigators say they don't have leads.